What are the main features of the Carmelite charism? 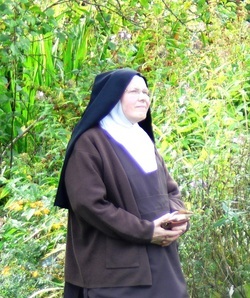 PRAYER - Prayer is the main work and witness of a Carmelite nun in the Church. It is her privilege and her joy and the foundation of her life and activity. 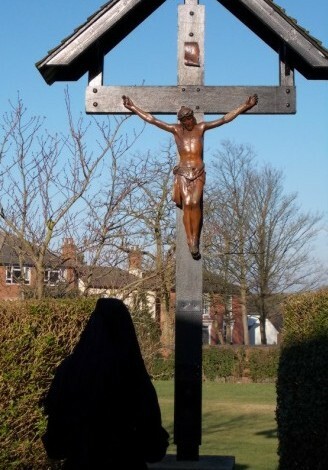 A Carmelite prays constantly for the Church; the Pope, Bishops and Priests; for rulers and governments; for sinners; for peace; for the weak, deprived and persecuted; for the sick and dying; for the holy souls in Purgatory; and, indeed, for the whole world. The sisters' prayer and contemplation is not confined to participating in prayer at the stated times but permeates their whole existence. In that way they walk in the presence of the living God, put faith, hope and love unceasingly into practice and make their entire life a prayerful quest for union with God. SILENCE - In order to foster the prayerful and solitary atmosphere that is the hallmark of Carmel, all the sisters carefully keep silence, except when they are required to talk by necessity or by reason of their duties or, with the permission of the Prioress, in response to some need. Work and every other occupation is therefore reconciled with silence so that the monastery truly becomes a house of peace and prayer. 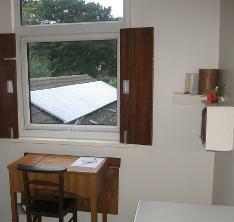 For this reason, too, they do not have a common workroom and when sisters have to work together on tasks that require collaboration, silence and recollection are always safeguarded. SOLITUDE - The ceaseless quest for God in solitude is like an exodus into the desert. God draws and guides us there in order to speak to our heart. 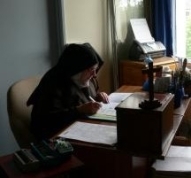 When the sisters are not with the community or are occupied with house duties, they keep each to her own cell, as the Rule prescribes, remaining in God's presence in solitude and giving themselves to prayer, study or work. They thus live alone with God alone and keep their hearts fixed on Him, even amidst their daily activities. 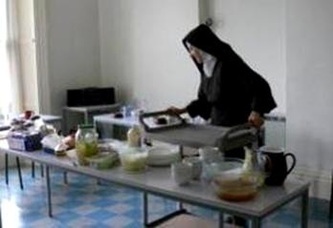 COMMUNITY LIFE - The nuns who have been called to form the little 'College of Christ' help one another advance toward sanctity by their mutual love and self-giving. St. Teresa taught a community lifestyle which is that of a small family in which all are evangelically equal, relations are openly sincere, joys and sorrows are shared, and the members are committed to one another for their entire lives. The sisters take their meals together at a common table and recreation is also held in common twice a day. 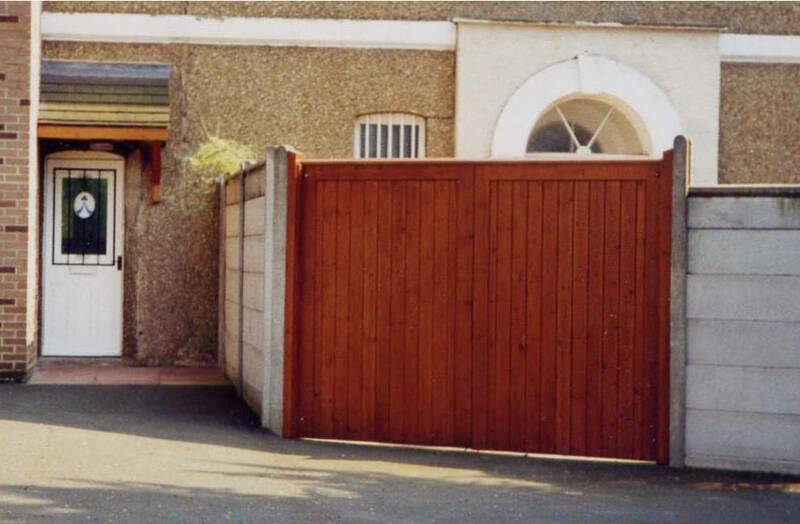 ENCLOSURE - The observance of papal enclosure enables Carmelites to give themselves more completely to God without many of the distractions found in the world. They imitate Christ in contemplation on the mountain or in the desert, retiring to solitude to adore the Father in spirit and in truth and to listen to His word. As well as being consistent with radical Christian discipleship and with evangelical self-denial, enclosure is also a great aid for reaching holy liberty of spirit and safeguards the freedom and harmony of community life. In a spirit of charity and for mutual upbuilding, the sisters are permitted to see visitors in the parlour, although long or too-frequent visits are avoided. They also have permission to leave the enclosure for essential medical treatment, to vote or for other necessary errands which cannot in any way be done by other people. VOWS - The evangelical counsels of chastity, poverty and obedience are founded on the teaching and examples of Christ. When religious profess them by means of public vows, they follow more closely the form of life which the Son of God chose for Himself and which His Mother embraced. And so they live for God alone, they love Him above all things, and they unite themselves in a special way to the Church and to its mystery. 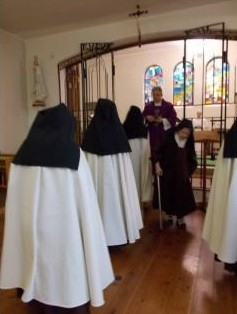 Through consecrated chastity, the Discalced Carmelite Nuns witness to that love which always gives first place to Christ their divine Spouse who gave His life for them. They aim to fix their hearts on Him, for they are called to live with Him and they receive every good thing from Him. Consecrated chastity is a joyous manifestation of divine charity that enlarges the heart's capacity to love, leaving it undivided and free, just as God wishes His brides to be free and attached only to Him. 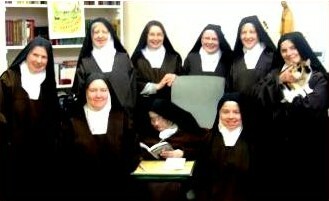 In order to share in the poverty of Christ, the sisters embrace by vow the evangelical counsel of poverty . This demands detachment from earthly goods, humility and sobriety in the use of things, diligence in work, and trustful abandonment to Providence. The vow of poverty also obliges them to depend on the superiors in using and disposing of goods and to take care of the things of the community, no one considering anything as belonging to herself. By professing with a vow the evangelical counsel of obedience, religious imitate Christ who came into the world in order to do the will of the Father and who made Himself obedient unto death on a cross. Following His example, they offer to God the full dedication of their will as a self-sacrifice. The sisters regard the superiors as God's representatives, and place all their resources of mind and will and all their gifts of nature and grace under the superiors' guidance and at the service of others.